ChessMates in Rahway, NJ is now officially open. It will be holding its first USCF rated tournament this Saturday. For driving directions to ChessMates. Parking situation and prices- Parking can be a pain so if it is your first trip, get there a little bit early. 2 hour parking limits and meter parking are the norm- but you may find free parking on the smaller side streets. There is always the parking garage located on the corner of Irving Street and Lewis Street (next to the train station). NJ Transit Rahway train station is located a short walk away. Coming off the platform, walk to the left on Irving Street. ChessMates will be located on the right hand side between Elm and Elizabeth. Plenty of places to grab some food in between rounds. Pizza, deli, and chinese are all on same block as ChessMates. After a few more hoops to jump through, ChessMates should be opening in the next week or two. This club is located in Rahway, NJ and is conveniently located minutes off the parkway and next door to the train station. It will be offering USCF rated tournaments almost every day of the week! Below is a picture of the tournament area as it is coming together. I also got the chance to meet GM Leonid Yudasin- who will be offering classes at the club during the day and afternoon. A great chance to learn from one of best! I look forward to the opening. I just wanted to remind everyone of the upcoming KCC Summer Tournament which begins tomorrow. * Entry Fee is $5.00. * The tournament will run from June 3 through August 26. * The time control is G/60. * You may play anyone in the tournament. The first time you play an opponent, the lower rated player has white, in subsequent games against the same opponent you alternate colors. * You may not play the same opponent more than four times in the tournament. * You get one point for a win, one half point for a draw, and zero for a loss. * You may play as many or as few games as you like, but no more than two in one night. The more you play the more points you can win. 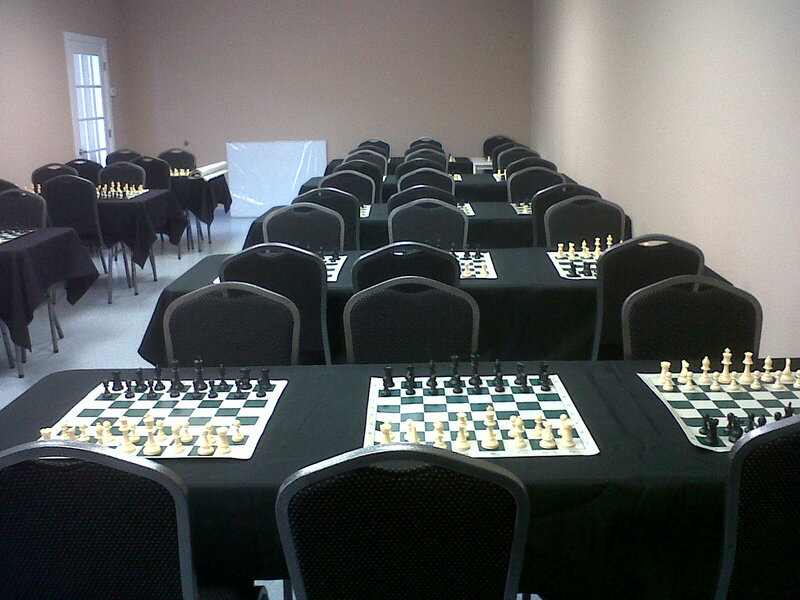 * All games are to be played at the Kenilworth Chess Club during normal operating hours. * The winner is the person who has the most points at the end of the tournament. * The prizes are 60% for first place, 30% for second, and 10% for third. Ill be there tomorrow playing in the first round...will you? !